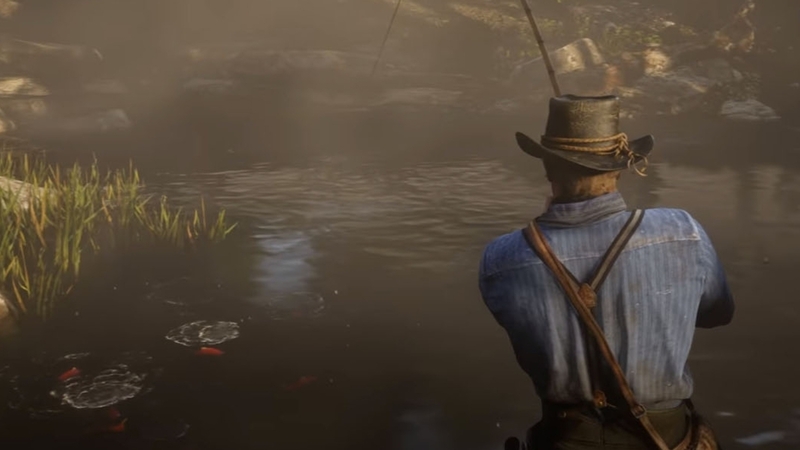 Rockstar Games has detailed more of the things you’ll be doing in Red Dead Redemption 2, including the ability to kick back and go virtual fishing. This latest trailer shows off some of the many pursuits you’ll be able to undertake in the game, from robbing banks and trains, collecting money as a loanshark, or holding up stagecoaches, to more peaceful activities such as dominoes and poker. Finger stabbing game five finger fillet is also back, to make me squirm as I stab myself repeatedly in the pinky. There’s also a look at Red Dead Redemption’s time-slowing Dead Eye system, which lets you paint targets over your enemies in slow-mo before firing off a volley of shots. This time around you’ll be able to see weak points, Rockstar says, which shockingly include people’s heads. Red Dead Redemption 2 looks deep and detailed as ever then – just as it did in the last trailer which focused in on hunting and wildlife. All of that detail will come at a cost, though: namely 105GB of your hard drive space.